There are so many fun trends this season, but one of my favorites is this layered look. It brings me back to my middle school days! I remember buying all sorts of camisoles and tank tops to wear over plain t-shirts. I like to think that I’m a lot more stylish now than I was back then, but I’m excited that this trend is back. Even though I’m now 23, I’m definitely still a kid at heart. Another trend that appeals to this same sentiment is overalls. While I think they look really cute on some people, I have not yet been able to find a pair that I can pull off. If this sounds like you, then you need this pinafore dress! It has the same sort of look as a pair of overalls, but is much more feminine. 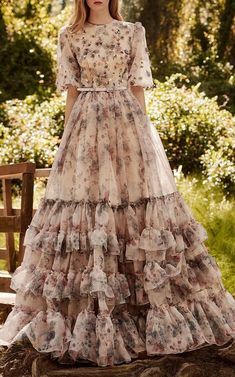 I especially love this one because of the corduroy (my favorite fall/winter fabric) and it’s dainty floral print. I also love the price point! I got this little cutie at Target for just 25 bucks. I paired it with a basic sweater from Forever 21, black booties, and my classic Chanel bag. Pro tip: throw in a high end item with some of your more affordable pieces and no one will ever know the difference. Get the details down below, and have a fabulous Monday! OBSESSED! Just scheduled this to pin. If I wasn’t pregnant, I’d be ordering this pinafore right now. You look amazing! cutest jumper overalls ever! such a great outfit! The is so so cute! I love the floral pattern and the fact that it’s corduroy makes it even more adorable! I absolutely love this look! So girly yet edgy too! What a beautiful outfit! OMG that bag is a dream! Thank you! It’s my go-to black bag, I love it! Ah, you’re definitely bringing me back to my childhood with this cute look. The corduroy plus the overall plus the layering? Definitely something I would’ve picked out in middle school – and somehow you’ve made it look SO chic for an adult as well! Gorgeous, doll! You look so beautiful in this outfit. Love the makeup too. How adorable is this pinafore?!! Love that its corduroy and floral! Thanks Shannon! I’m kind of obsessed with it. And for $25 you can’t go wrong! love the dress a lot! you look so cute luv! You look so cute in this outfit! Love the hair so much! When I read corduroy I literally screamed, love love love that idea especially on overalls and especially for fall. Stunning look. 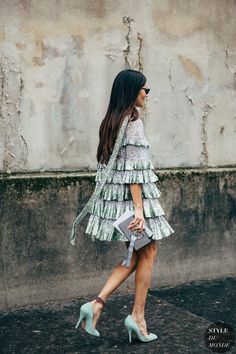 Love the print of your dress, it’s so cute! I am a big fan of layering in the fall and winter too. This is such a cute outfit!! I love the overalls!! !